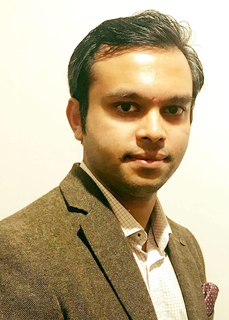 My name is Abdur Razzak and I am one of the candidate who will be standing for the Broadwaters ward. I first stood as a Liberal democrat for Broadwaters in May 2018. I was thrilled to came third in 2018's Local Election. I'm standing again this year along with my colleagues Clare Cassidy and Simon Ford and we are hoping to gain seats in May 2019. I have lived in the Horsefair for over 30 years. My parents first moved into one of the maisonette flats opposite Hurcott Road in 1988. By 1989 they bought a house in Hurcott Road and we all moved there. My parents are still living in that house. During my school days I attended St. Georges First School, Sladen Middle School and King Charles I School. I graduated with a BSc (Hons) degree in Computing Science from Aston University, Birmingham. After graduating I started to work for Birmingham City University as an IT Support Assistant. Whist working at Birmingham City University I also worked part-time as a Visiting Lecturer for Bournville College in Birmingham, where I taught adults and young learners about Web Design. I was at Bournville College from January 2009 till December 2012, teaching 1 evening per week during term times. In February 2013 I was offered a job as an IT Systems Engineer at the prestigious University of Oxford's Somerville College. It was an offer I couldn't refuse and therefore took the challenge and the opportunity. This year I celebrated my 6th work anniversary at Somerville College. I commute to Oxford every day by train. 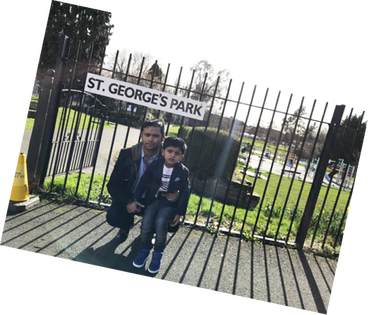 I married my wife, Syeda, in 2011 and have a son, Rehan, who is currently attending St. Georges School Nursery. He will attend St. Georges Primary School full-time from September 2019. I am a very hard-working person and very determined to bring some changes to Broadwaters area, changes for good. I will focus on making Broadwaters a safe place by tackling anti-social behaviours and stamping out the drug abuse that's taking place in certain parts of the ward. Over the last 20 years Horsefair has gone through a lot of changes and transformations. During my early days the Horsefair side of Blackwell Street used to be very lively and engaging but this magic is no longer there. I will try and restore some of the magic we've lost over the years by fighting to introduce a Shop Frontage Improvement Scheme, offering local shops grants and incentives to improve the shop frontage and look at ways to get the empty shops and buildings occupied once again. The Churchfield site will become a housing estate very shortly and as a result Blackwell Street will become a one-way street going into town. 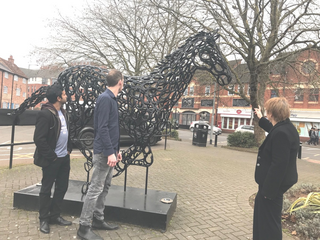 This will be a great opportunity to invest in the Horsefair. Blackwell Street has very poor air quality so it is very sad that trees will have to be removed for the redevelopment of the Churchfield site. Although its vital to have the new road link, trees play an important role in cleaning the air we breathe. I will fight to have the trees that are removed replaced with new trees. If you have any suggestions or ideas on what we can/we should do, please get in touch with me. I'd love to hear from you. On 2nd May 2019, please vote for me and my team. Vote Liberal Democrats for Broadwaters!! !